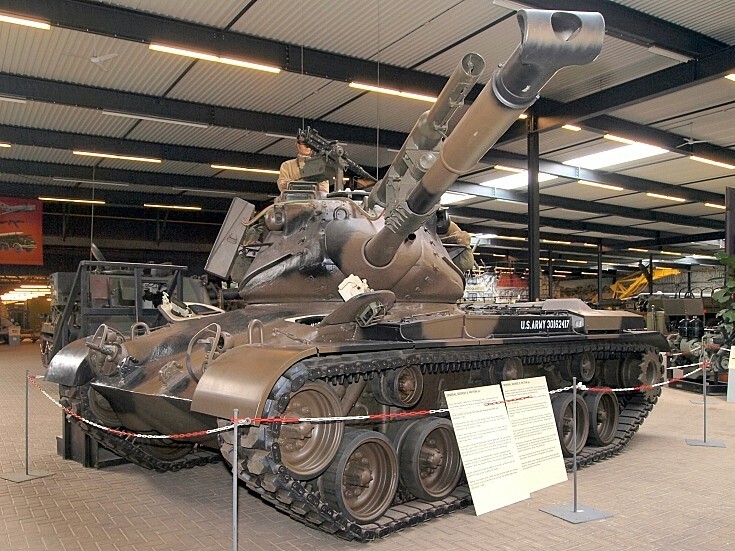 M47 Patton with some kind of granade launcher on the barrel, US Army 301624117, at the Marshall museum. I believe that is a main gun simulator attached to the main gun. Possibly operates on propane. Added by Mark Holloway on 02 March 2011. Added by AlfvanBeem on 02 March 2011.